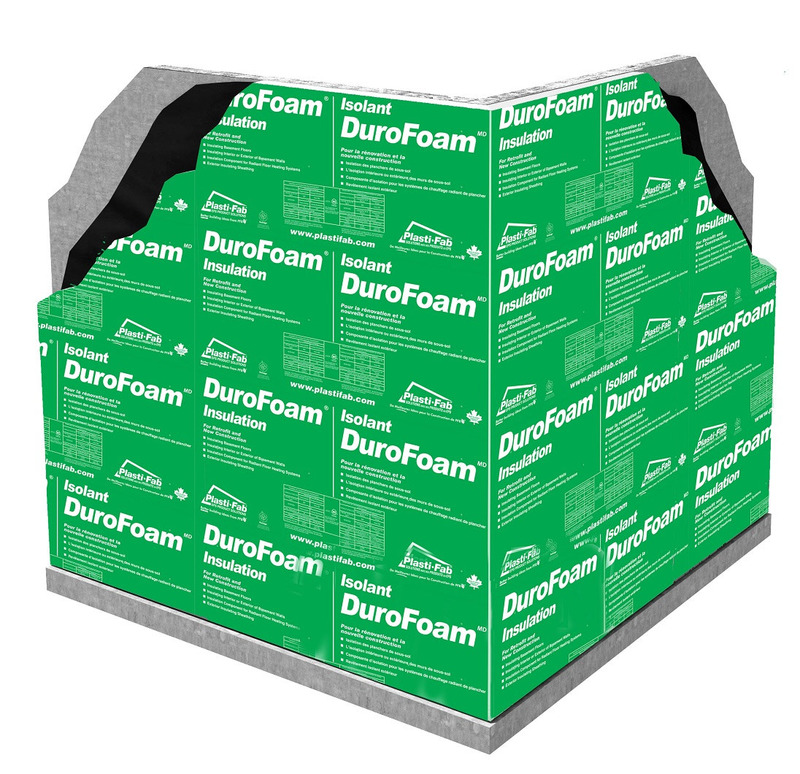 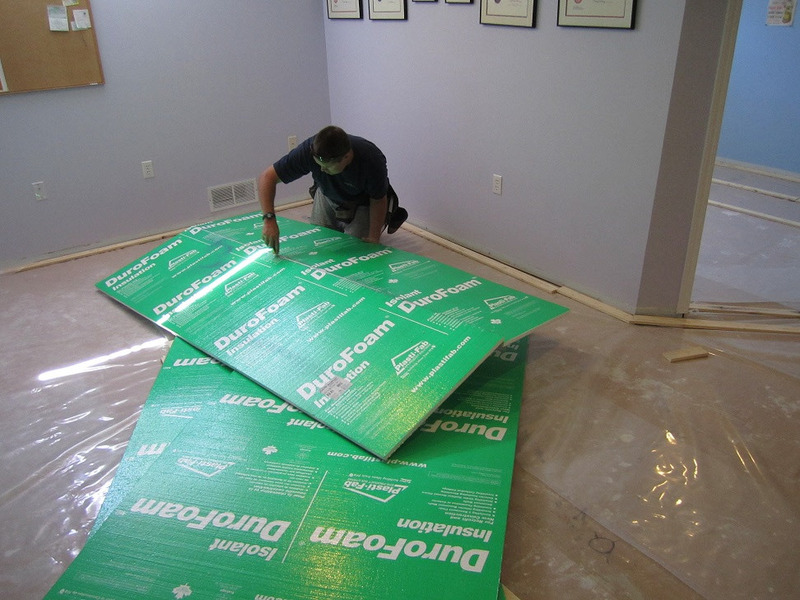 DuroFoam® insulation is a closed cell and moisture resistant insulation with a green film laminated to one side, and a silver film on the other side. 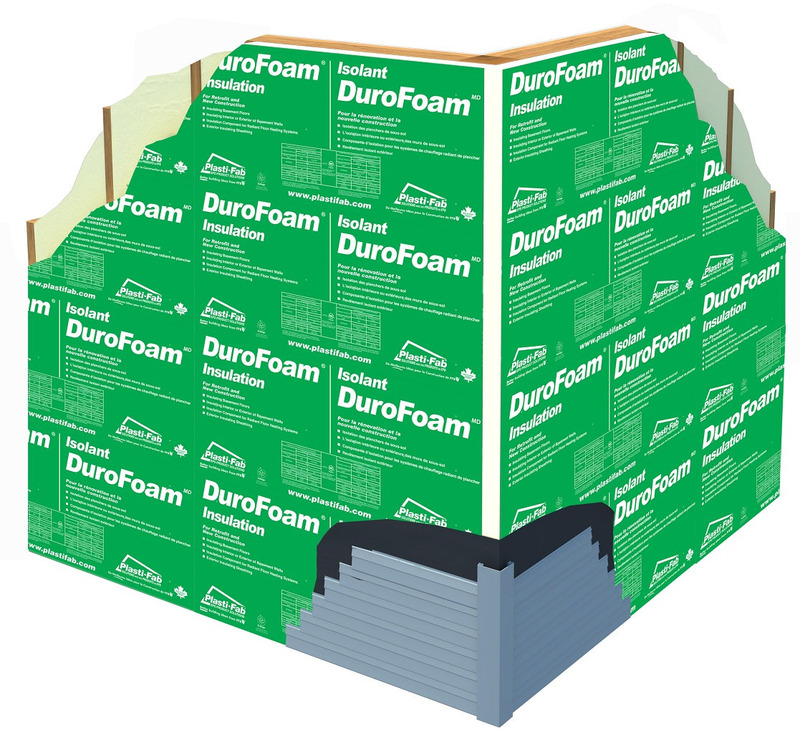 It is easy to install and can be used in many applications; exterior sheathing, continuous insulation, basement floor, under slab insulation and cathedral ceilings. 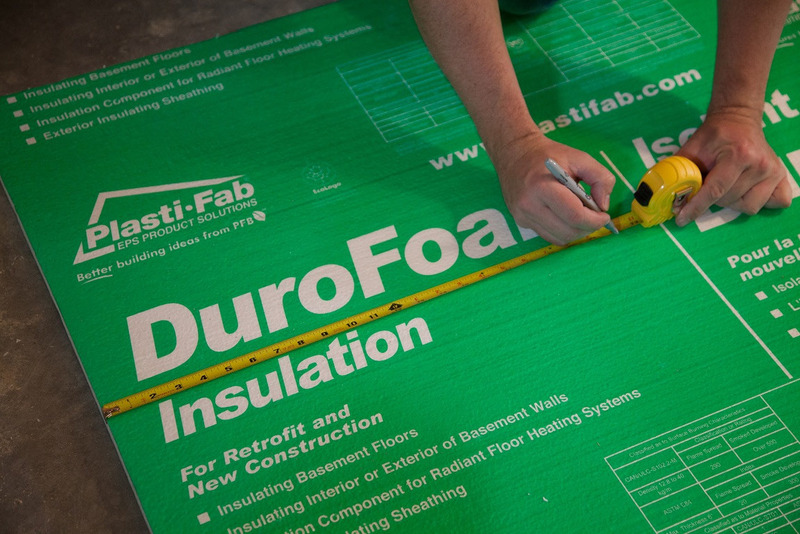 It has an R-value of 3.75/inch for the life of the product. 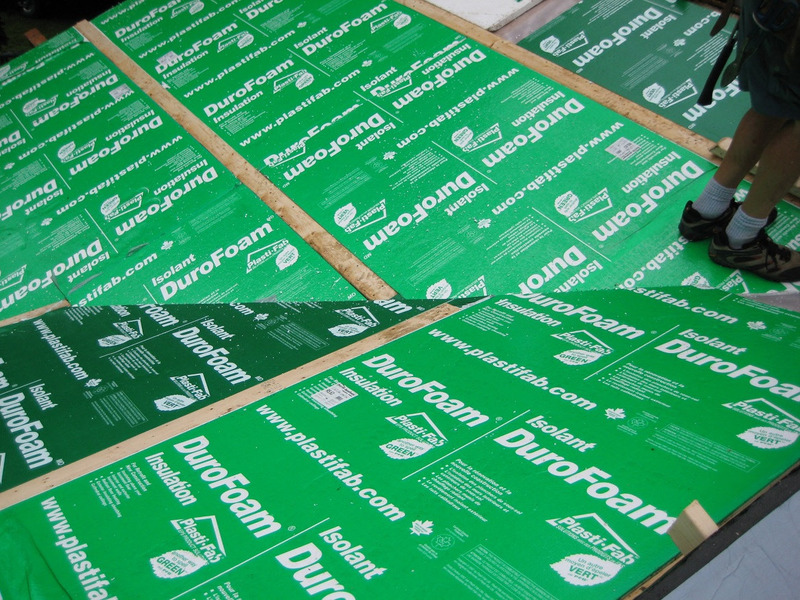 The addition of the laminated film to the top and bottom surfaces of DuroFoam® insulation board provides a more durable product that is less susceptible to damage. 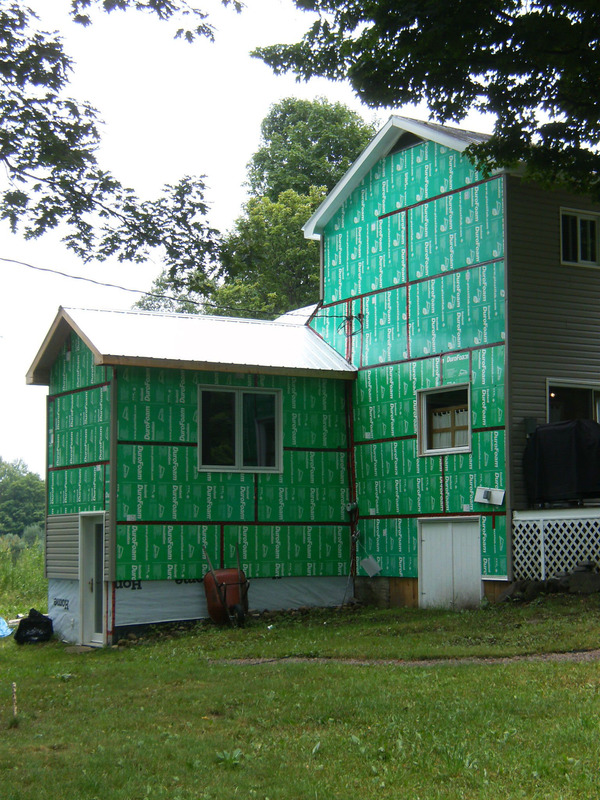 3/4, 1, 1-1/2, 2, in. 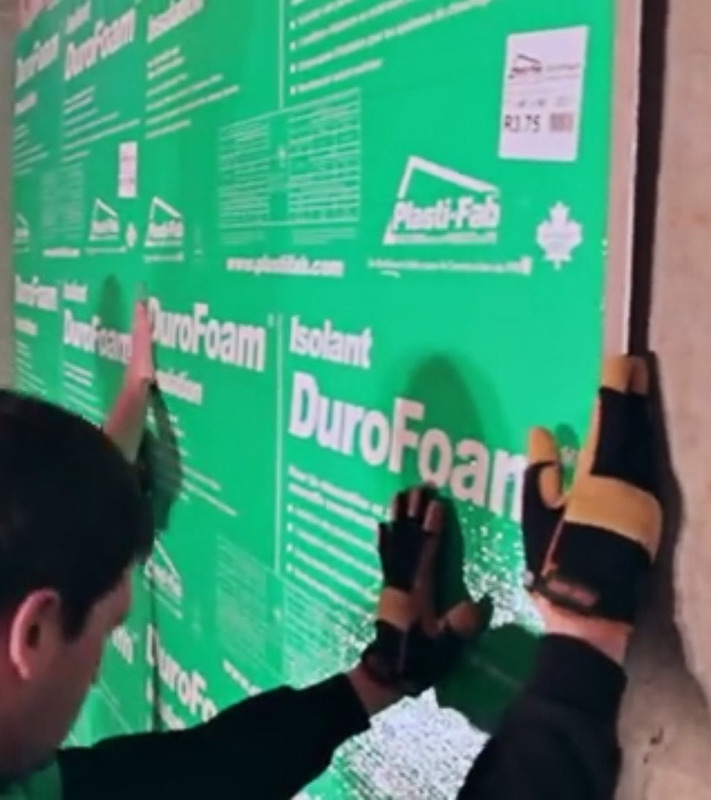 DuroFoam® insulation complies with the requirements of CAN/ULC-S701, Standard for Thermal Insulation, Polystyrene, Boards and Pipe Covering, the National Standard of Canada for expanded polystyrene (EPS) insulation. 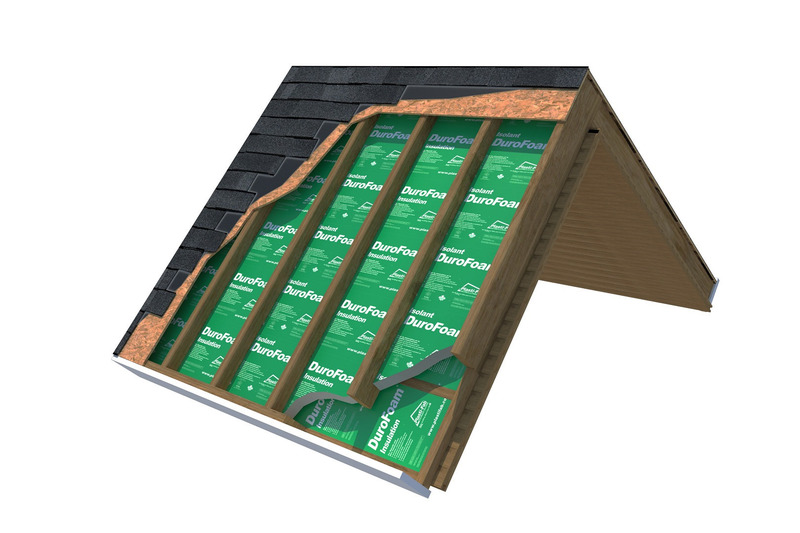 1.1.7 Install additional exterior insulations system on exterior of foundation system, above code-required interior insulation level: minimum R Value of 7.5 (1 point), R10 (2 points), or R15 (3 points). 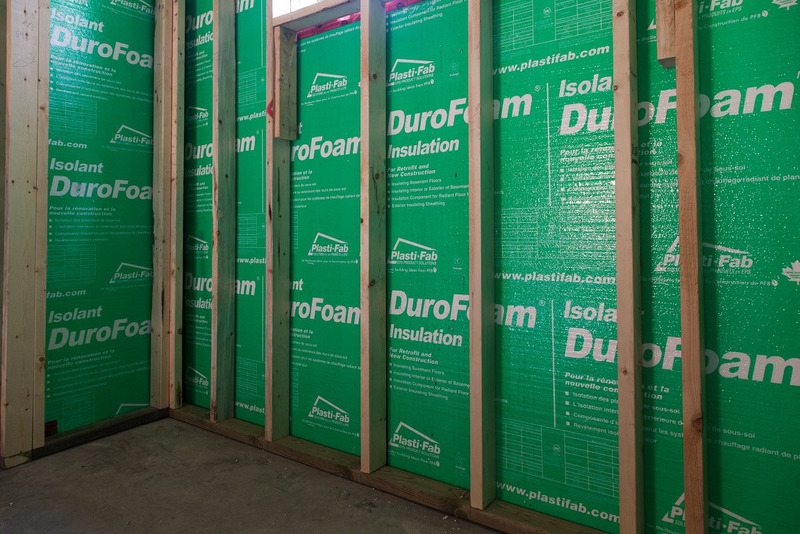 1.1.8 Install R5 (1 point), R8 (2 points), or R12 (3 points) above building code required under entire basement slab.